We are pleased to announce the details of the forthcoming Our Future City Fundraisers Training and Networking Event that aims to boost fundraising for creative children & young people projects in Brighton & Hove. What are the challenges and the benefits of partnership fundraising? How can we best connect resources and knowledge to enhance the lives of young people in our city? Please note that this event is for fundraisers - the networking event from 6.00pm will be open to guests - prospective supporters of creative children & young people projects in the city. 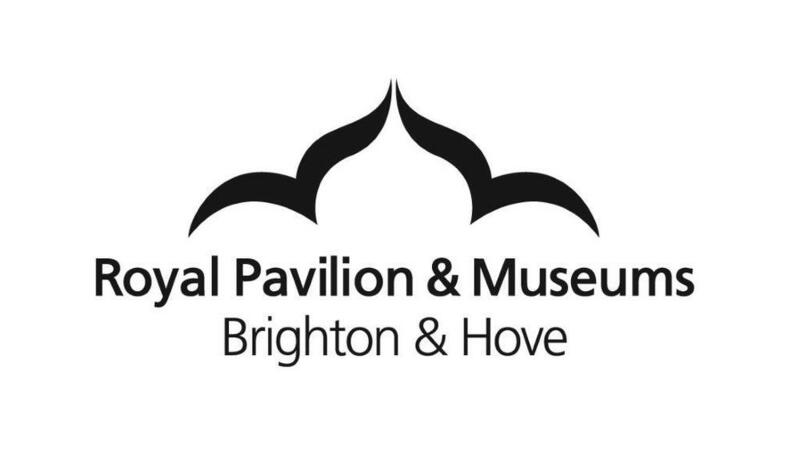 If you have any access requirements, please contact Abi Sharp in advance of the event via abi.sharp@brightondome.org. Refreshments will be provided provided. David is a fundraising consultant and trainer. He helps arts and culture organisations of all shapes and sizes to achieve their fundraising goals. He specialises in developing fundraising strategies, securing funds from trusts and foundations and creating individual giving programmes. Over the last year, he has helped raise money to protect a prince’s pleasure palace, to tell stories to people who have never owned a book and to buy a Bronze age pregnant woman’s giant gold necklace. Recently he has spent a lot of time working with organisations in Brighton and Sussex, including Glyndebourne, Creative Future and the Royal Pavilion & Museums. Until recently he was also on the board of Fabrica. Current and recent clients outside Brighton include Salisbury Cathedral, the Barbican, The Reading Agency, Spitalfields Music and Arts Fundraising & Philanthropy (delivering the Individual Giving course as part of their Essential Arts Fundraising training programme). Janine leads the FSI’s consultancy and development service and brings significant experience from the private and charity sector including strategic development, governance, diversifying income/developing earned income streams and impact measurement. Jason Nuttall is a poacher turned gamekeeper, having spent years securing grants and contracts for charities and social enterprises, in more recent years he’s been responsible for overseeing a number of large grant programmes for national funders. At Crowdfunder he develops innovative match funding partnerships with organisations like Santander, Trust for London and Nesta. Crowdfunder has supported thousands of organisations to raise almost £50million in its 5-year existence, and Jason is on a mission to get every charity or social enterprise to give it a try. Kate is the Vice-President of Brighton and Hove Chamber of Commerce. She set up Each Peach Nursey and Childcare which provides ‘exceptional quality childcare and education for children from new babies through to five year olds in Hove’. Richard moved to Brighton after attending the Poly. His unique working life includes early years as a meteorologist and then his own wine business. He has always been interested in philanthropy and brought 20 plus years of local business involvement to the charity sector. Homity was originally a fairly dormant family trust. When it passed down a generation the new trustees were looking for a like-minded local with broad business and social experience to energise and relaunch it to do much more. As Manager, Richard guided the expansion over the last 5 years and is responsible for the all-round running of this small and reactive Trust delivering over £100k in small grants. Homity is solely a grants provider and spends a lot of time researching and verifying grant applications where a small amount can make a big difference. They look specifically to help improve the lives of those with the very least in society, alongside some smaller projects which appeal to the charity’s ideas and principles. Over the last 13 years Francesca Purcell has worked extensively in the field of national/international partnership development and new income generation for the non-profit sector. Francesca has established and supported numerous cross-sectorial partnerships collectively raising over £15m to empower local communities, working with charities and companies from the FTSE 500 based in the UK, South East Asia & sub Saharan Africa. Francesca's expertise is embedded within non-profit management, as well as NGO and private sector engagement for devising and implementing sustainable community development projects, maximising cross sector knowledge, expertise and funds. Francesca is now MD for Creative Development Consulting which allows her to work across sectors supporting more organisations who wish to make a positive difference to lives of others. Francesca have always taken great pride and joy in developing long term relationships between charities, NGOs, cultural/community organisations, private companies and supporters. Francesca believes that these relationships must be founded upon dedication to the cause, strategic crossover, trust and mutual respect.